Personal training sessions are 50-55 minutes long and packages are designed for one, two or three times per week. We come to your home or gym with all the equipment you need for your workout. All of our personal training programs are custom designed for your fitness needs. Bring a friend or partner to your workouts no extra charge. The package is discounted based on how much you purchase. On the Go fitness Pro offers flexible payment plans to help fit your budget during your personal training program. Our payment plans are 3 easy payments (Interest-Free). 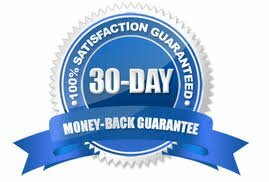 On the Go Fitness Pro offers 30 day session money back guarantee. If you’re not satisfied with our service after 30 days contact us and we’ll refund your purchase. Enhance the quality of your life and get some much-needed direction from a personal trainer with our once a week personal training services! Sign up for a first free session! An in-home personal trainer can give you the guidance, motivation, and support you need to reach your fitness goals. Sign up for your first free session today. If you are struggling to reach your personal fitness goals due to an immensely busy lifestyle, you may benefit significantly with an in-home personal trainer who can motivate you to workout and push you.